As a reminder, the toys are designed for the children only. Adults are required to supervise the children attending the event. 90 minutes sessions. Times are posted on calendar. Socks are required. Extended Pop In Play hours during school holidays and during the summer break. NOTE: NO OUTSIDE FOOD OR BEVERAGES PERMITTED. Bring 5 Children for "Pop In Play" and receive a Free Pizza to enjoy after they play. Offered afternoons and early evenings. Times are posted on calendar. Socks are required. Great event for large groups. Ideal for Youth Groups, Church Groups, Large Birthdays, etc. Private Event includes. Guests have access to all Inflatables and video equipment. Food and Beverages are available so ask about our food & beverage bundles. Call for pricing. Plan your next event at Party Playground. Customized events to fit your needs and for every budget. Register early, space is limited!! Avoid the Registration Fee and register early. $10 Registration Fee for On Site Registration. Thanksgiving, Christmas, Spring Break, MLK, Mardi Gras and Summer Camps. Supervised fun for the kids! Click for Camp Registration Form. 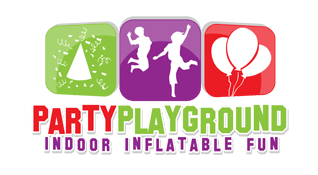 Print, Complete, Scan and email to request@partyplaygroundbr.com.